Peter Reddick (1924-2010) was one of the co-founders of Spike Print in Bristol. 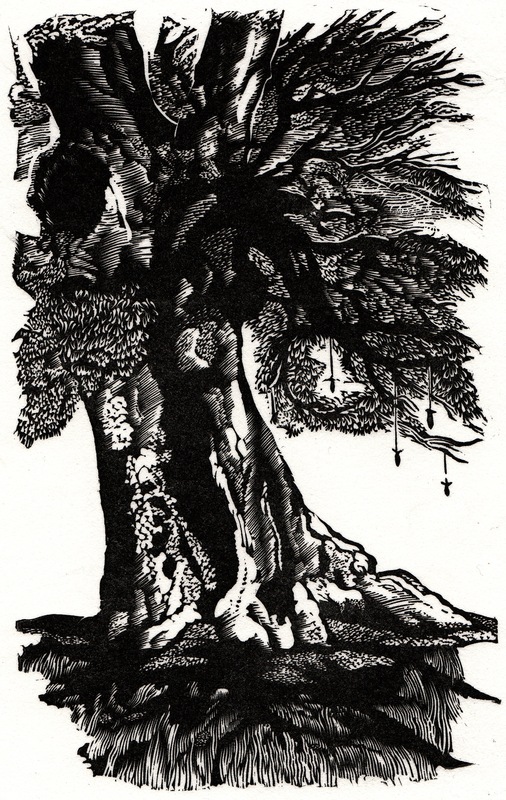 His work shows intricate wood engravings with flowing effortless lines. He was a big part in the creation of one of the countries best print studios and to remember his work and achievements Spike offer a one year bursary to artists showing an innovation in relief printing.This year I have been lucky enough to have been awarded the bursary and with my Great Art print prize award I’m looking set to advance even further into the field of contemporary relief printing. I will be spending a good year creating new methods and pushing the field of relief printing as much as I can. This will be supported by professional development and courses offered at Spike Print. Along the way I hope to be giving Talks and demonstration about my work developments during the bursary and will also be continuing to post and share new findings and work on this here blog page. Towards the end of the bursary I hope to have excellelerated my language in print and will be exhibiting a full body of new works. I’m obviously really exited about the possibilities of this bursary and can’t wait to get started with all the introductory sessions at Spike Print. Stay posted to find out what happens! I am delighted to announce that my mutli process print ‘Icon’ has been awarded the Great Art Most outstanding new media in print award. Please enjoy the moment by following this link. It is a great honour to recieve the prize and I am looking forwards to a shopping spree of more tools, paper and inks to create a new series of prints. You can see this and ‘Expectations’ at the current Neo Printprize Exhibition in Bolton, or visit the Electric Picture house in Congleton, or see a full solo show at the Southhill Park Arts Centre in Bracknell.